Before a crew embarks, everyone should review their medical history and prepare medications for a sailing trip. 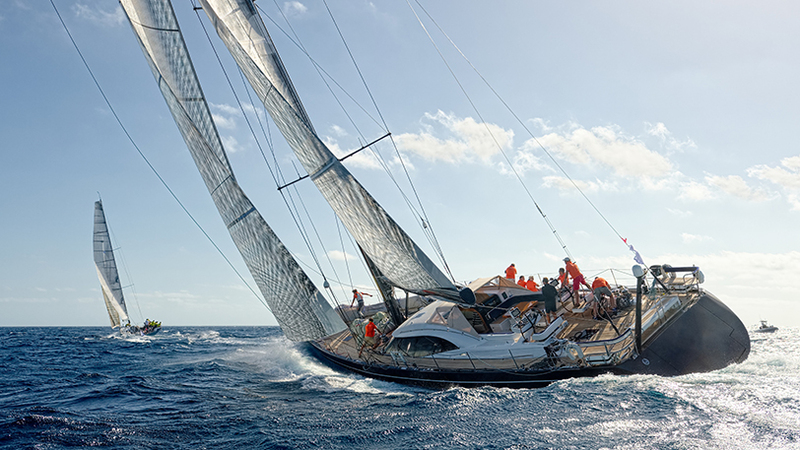 The most common problems that occur during sailing are seasickness, sunburn and animal bites. Around 60% of sailors will feel seasick at least once on their sailing holidays. The studies have shown that women tend to get seasick more often than men. The percentage for both sexes is declining after the age of 25. Seasickness can last a few hours or even several days. A person will not only feel under the weather, but will also be a burden to others on board. Since there is not a single universal medication that works for everyone, the best thing is to prevent seasickness. You should avoid alcohol, hangovers and heavy foods. Take medications before you start feeling seasick, drink a lot of water, and consume ginger in any form. Also spend more time on deck or amidships breathing in fresh air. Wear specialized anti-seasickness wristbands that put pressure on a certain point at the wrist. In case you start feeling seasick, beware of sudden vomiting – keep close to the rail. Try to lie on your back and wait until you get better. Meanwhile, you can take one of suggested medications (cinnarizine, cyclizine, domperidone, hyoscine, promethazine, prochlorperazine, metoclopramide, ondansetron) for helping with seasickness, but have in mind possible side effects, such as drowsiness, dizziness, dry mouth and blurred vision. Like with seasickness, the best cure for sunburn is to prevent it. Regularly check the UV index, stay in the shade between 10 am and 4 pm, wear sun-protective clothing (hat, sunglasses, tightly-woven garments), and apply sunscreen (SPF 30 or higher) before you expose your skin to direct sunlight. Pale skin burns the easiest and dark skin is less likely to burn. Pay special attention to small children that have sensitive skin regardless of their skin tone. If you start to experience redness and pain, following with peeling skin, blisters, and even fever, you can be sure you have been sunburnt. Sunburn can develop quite fast if you are not protected from intense sun and its ultraviolet light, and can cause skin cancer in the future. Sunburnt skin should be treated with cold water, moisturized with creams and ointments. Anti-inflammatory medications (aspirin, ibuprofen), antibiotics, contraceptives and tranquilizers can also be used as treatment. Protect the area that has been sunburnt and drink more water than usual. The most important thing is to check the region you are sailing for possible danger of insects and animals as to avoid bites in the first place. Mosquito bites are the most frequent of all. Bites can also occur from sea animals, such as fish or jellyfish. Bites occur as red spots or inflamed, itchy and bleeding regions on body. Some can cause infections, and mosquitos in certain regions can cause malaria. To prevent and treat symptoms of mosquito bites, make sure you take insect repellents, antihistamines and antimalarial drugs with you. There will always be a first-aid kit onboard that you can use for any kind of emergency. More thorough preparation should include sleeping pills, menstruation medication, blood pressure pills and nasal spray, as well as specific medications depending on a person’s medical history.